This post is part of Russia in Classic Film hosted by Fritzi at Movies Silently and sponsored by Flicker Alley. To check out all of the wonderful posts, click here. 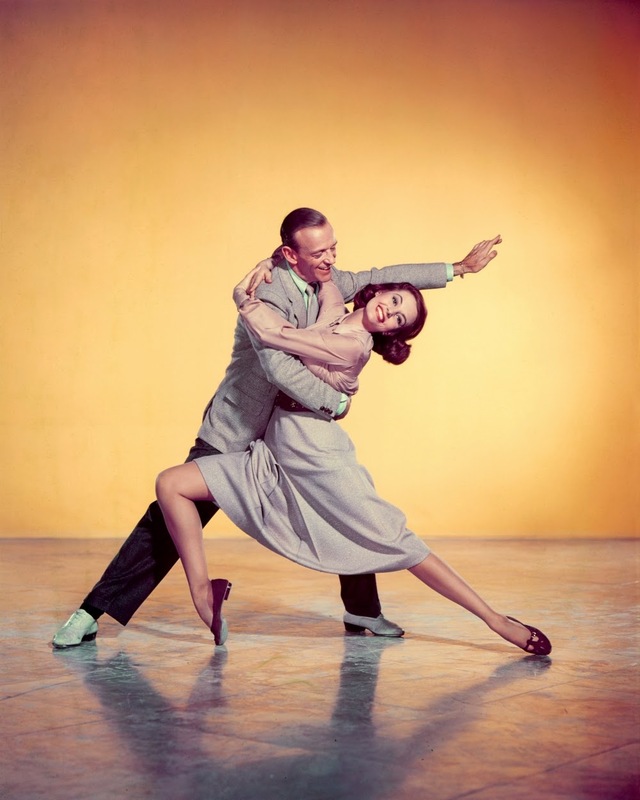 Of the two films* Fred Astaire and Cyd Charisse made together, Silk Stockings (1957) is by far the superior. This belief may be in the minority, but I stand by it. (You can read more about my unpopular opinion about their other movie, The Band Wagon, here.) Like Band Wagon, we are treated to beautifully choreographed dances showcasing Astaire and Charisse, who actually star this time around. However, there is much more to Silk Stockings by way of plot and subject matter. *Three if you count Astaire and Charisse's brief appearance together in Ziegfeld Follies (1946), an ensemble piece featuring performances from over a dozen stars. The primary focus of Silk Stockings is the ideological difference between the capitalistic West and communist Russia represented respectively by main characters Steve Canfield (Fred Astaire) and Ninotchka Yoshenka (Cyd Charisse). Where Steve parties all night, sleeps in, and rents extravagant hotel suites, Ninotchka works hard, wakes up early, and lives simply. Where Western culture celebrates the frivolous, Russian culture appreciates the useful. Pleasure and entertainment are a way of life in the West. The film even takes a self-depreciating jab at itself with a diva-ish swimming star (played by Janis Page) and a song ("Stereophonic Sound") about all the gimmicks added to movies "to get the public to attend the picture show." On the other hand, Russians view pleasure as a sign of selfishness, and art as a means to publicize communist culture. Finally, the characters' clothing visually symbolize their core differences. The American and Parisian women dress in gorgeous gowns of satin and silk while Ninotchka's dress is simple, made of a drab olive material. Charisse's outfits may be missing the razzle dazzle of her flashy Band Wagon costumes, but her dances have more meat to them. In her first dance with Astaire, the audience sees a gradual shift in her character's pro-communist attitude. By next dance, which is rather sensual for the time, the metamorphosis is complete. In addition to Ninotchka, most of the Russian characters in Silk Stockings wish to escape from their oppressive society. 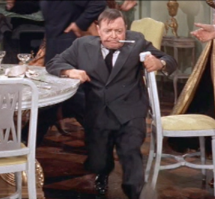 The three commissars (Peter Lorre, Jules Munshin, Joseph Buloff), who are sent to return a stray Russian composer, rejoice at the thought of a prolonged stay in Paris, dancing and singing "Too Bad (We Can't Go Back to Moscow)"--the highlight of which is Peter Lorre doing Russian kicks between a table and chair. If seeing the oft serious actor behave in such a comedic manner doesn't put a smile on your face, I don't know what will!